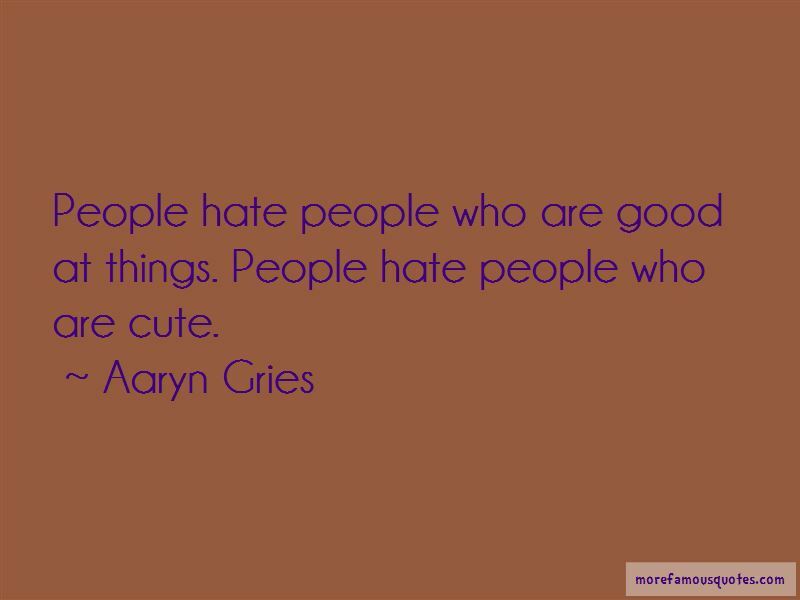 Enjoy the top 3 famous quotes, sayings and quotations by Aaryn Gries. If my face was covered, I would be useless. People hate people who are good at things. People hate people who are cute. 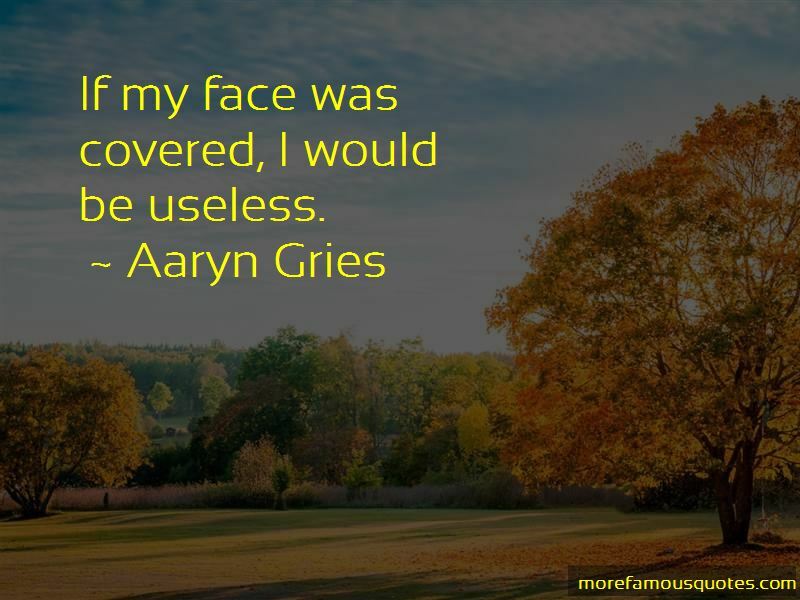 Want to see more pictures of Aaryn Gries quotes? 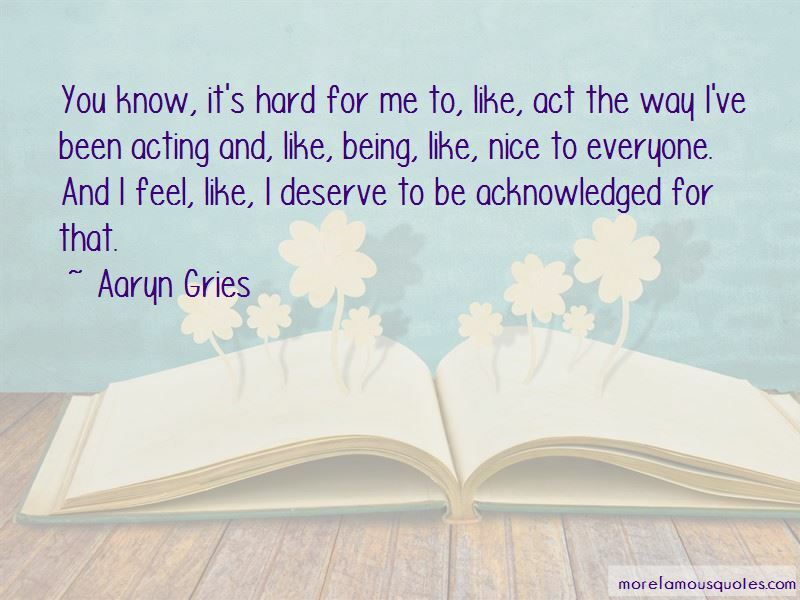 Click on image of Aaryn Gries quotes to view full size. “All the books helped him in some way or another. Quenton Cassidy was not enthusiastically going about the heady business of breaking world” — John L. Parker Jr.